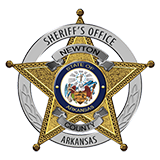 Newton County Sheriff Keith Slape said that a Kansas man fell from the Hudson Mountain area near Cowell. Slape said that James Thomas Boyd, 27, of Lenexa, Kansas fell repelling with friends from a bluff in the area of Hudson Mountain on July 31st. Responders from Newton County Search and Rescue, Deer, Lurton, Mount Judea, United States Forest Service and the Buffalo National River Park Service helped with the rescue. Boyd had fell approximately 45 feet. He was transported by air evac to Washington Regional Medical Center in Fayetteville with head injuries.